Motown follows the story of Berry Gordy and the creation of Motown Records. The story begins on the evening of the 25th anniversary of the music records empire in 1983, with Berry reflecting upon his journey so far and career. Berry recalls the times when he was a kid and dreamt of one day making people as happy and proud as his childhood hero, the boxer Joe Louis. Having grown into a talented adult, inspired by his passion of music and with hopes of ending the racial division in the music industry, Berry borrowed $800 from his family, went from featherweight boxer to heavyweight music mogul, discovering and launching the careers of Diana Ross and the Supremes, Michael Jackson and the Jackson 5, Stevie Wonder, Smokey Robinson and the Miracles, Marvin Gaye and many more. 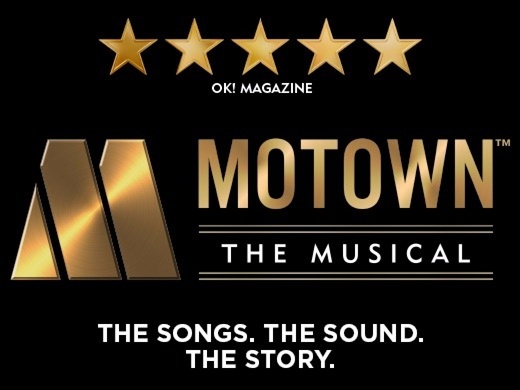 Playing at the Shaftesbury Theatre and featuring an eighteen-piece live orchestra, playing 50 Motown tracks including "My Girl", "Dancing In The Street", "Ain't No Mountain High Enough" and "I Heard It Through The Grapevine", Motown The Musical is a musical sensation with real soul - Book your tickets today! Learn your ABCs the Motown way! This show is far too long and repetitive. Some of the music is fantastic but some is average. The sound in the theatre wasn’t great either. I was disappointed. Very good show but the thearter was to hot.no air conditioning was on . Energetic, uplifting, singing outstanding. Real buzz !!!! Was a fantastic show, great story, great songs, amazing cast and would recommend for everyone to go see it! The show was brilliant the only thing was made to go in the side entrance as ticket was for the grand circle so felt a little like because didn't buy expensive tickets second class up in the gods was a little tired and the seating was very very cosy got to know person sat next to me quite quickly. Excellent performance! Second time to the show. We brought two friends along who were seeing for the first time and they loved it! All of the cast were superb. Powerful voices that did justice to all the music. Timing was perfect. Sorry to see the curtain come down an such a fabulous production. What a cast , what a show. I'm so glad I went to see the last show it was phenomenal. I wish all the best to all involved. What a great show from beginning to end. The show really told the story of Motown from day 1 to the end of the 25 era. The actors were all brilliant have to say Michael Jackson and Diana Ross werefab. I took my friend for a belated birthday and we both had a wonderful time. Loved the show. Great performances by all the cast. What a musical. I can’t believe such a feel good musical is coming to it end. Thoroughly enjoyed the musical. Wish I had the chance to see it again !!!! What an amazing few hours we had watching Motown the Musical. An excellent production from start to finish with superb acting, singing and scenery changes. Family day out and had to go see the Motown musical as we were brought up listening to it. The show really didn't disappoint, brilliant songs and even better story line. The cast were amazing and the energy was high in the audience. Staff at the theatre were really helpful in helping us find our seats, definitely the friendliest staff I've come across in other theatres! So glad that I got to see this show. Diana aka Natalie Kassanga was excellent along with the rest of the cast. Well done and thank you for sharing the story line of Motown. Loved it !! Loved it!! Loved it!! Absolutely Brilliant!! Seen it twice. What an amazing show! Would recommend to a friend! Such an amazing atmosphere and experience! Enjoyed the show. If it wasn't coming to the end I would go and see it again. I loved the performance it was ancoutstanding show it's unmissable show something you would not want to miss out on. It's worth the experience and best experience ever . It's amazing and loved every single bit of the stage presents. A nice musical thread to the History of Motown ,Berry Gordy and historical event so that time. I realised that there was much more music on the Motown label . You can't choose the rest of the audience - but i could have happily been up dancing all through it. Absolutely fantastic! Did not want the show to end. The story was executed very well, which left out quiteness within the audience to find out more about it. The stars had awesome voices and energy. I was disapponted when it was coming to the end. The Captions at the back was welcoming especially for people within the audience who maybe didn't know the story about Motown. It was a treat for my birthday. The actors and the songs. Everything amazing. I loved every bit of it! Loved every minute! Great songs to sing along to and a great cast! We thoroughly enjoyed the experience. It was creative, excellent choreography and amazing amazing amazing singers. The entire srtaging was fantastic!!! Encore, encore, encore. This was such an amazing show, whoever out the shoe together was on point with everything, the actors who played the main Motown Stars were brilliant and the music was awesome, I grew up with this music and saw this with my Dad and we both loved every minute of it. Excellent cast and use of the Motown songs.